The Wenasa Quenhotan Lodge is brining back the OA Summer Camp Participation Award for all W. D. Boyce Council Troops to work on this summer! Click Here to see the requirements for the award, and and start working on the requirements for your troop to receive this summer. 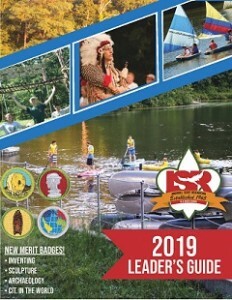 New Merit Badges, Changes to the Trailblazer (Scout to 1st Class) Program, More Open Areas, and more! Stay tuned for a 2019 Parents Guide to be released in January. Does your Troop have their site reserved for 2019 Summer Camp? If not get a reservation form turned in, sites are filling up! 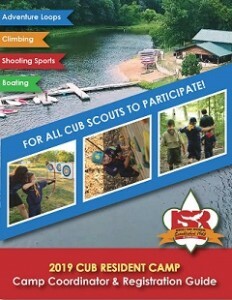 Ingersoll Scout Reservation will be hosting three sessions of Cub Resident Camp in the summer of 2019! Click here for the Camp Coordinator & Registration Guide for more information. Register your Troop for Summer Camp! By filling out the 2019 ISR Summer Camp Reservation Form and returning to the Peoria Scout Service Center. We are excited to bring Mountain Boarding to ISR. Learn how to ride these down Dining Hall Hill, during a Lunch Outpost or during open area time after dinner. This all-terrain action sport will get any Scouts adrenaline pumping!